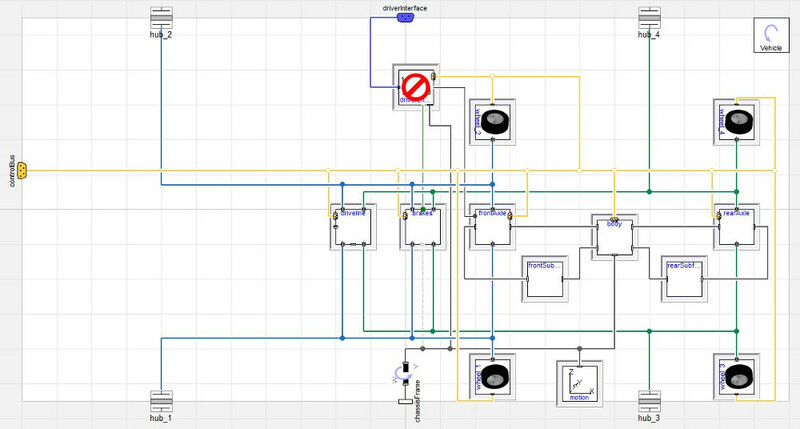 Developed as the cornerstone for the wider VeSyMA platform, the VeSyMA library itself initiates a top-level adaptable vehicle template layout, building upon the subsystem templates established in the open-source Vehicle Interfaces library. A modular approach to vehicle modelling leads to an intuitive and versatile tool, where the user tailors the complexity of the simulation to their specific needs. Each vehicle subsystem present in the VeSyMA platform utilises a base-class found within the VeSyMA library, ensuring compatibility between all VeSyMA platform extension libraries. The VeSyMA library itself is not just a group of templates, however. 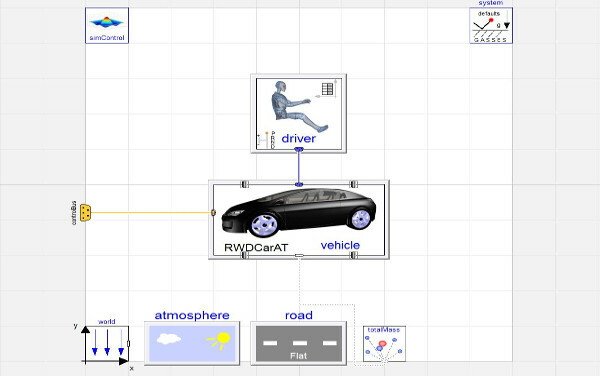 A collection of idealised sub-component models can be found within the VeSyMA library, enabling it to be a perfect tool for conducting longitudinal vehicle based studies and drive cycle analyses. 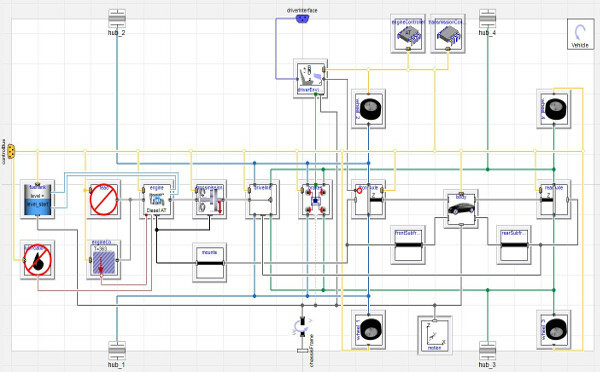 Vehicle template models found within the VeSyMA library depict various configurations of vehicle, from standard single combustion engine vehicles to hybrid electric and fully electric vehicles. Designed with a modular approach, subsystem models of various media and/or complexity can be used in the same template model, enabling all VeSyMA extension libraries to be compatible with each other. Beyond this, each template shares a common base class itself; different vehicles of varied layout to be compatible at the experiment top level, meaning vehicles can be swapped in and out of experiments and tested back-to-back with ease.